Could Stellar Lumens be a Challenger to Bitcoin for International Payments? Bitcoin has clearly cemented its position at the top of the cryptocurrency pecking order. The last few years have seen its status grow immensely, to the point where many people (wrongly) see cryptocurrency and Bitcoin as inseparable. In the last year or so, Bitcoin’s price has skyrocketed and many new investors have benefitted hugely. If you’d bought a single Bitcoin at the start of 2017, you’d now be about $7000 better off. Aside from speculation, one of Bitcoin’s most important uses has been in global remittances. 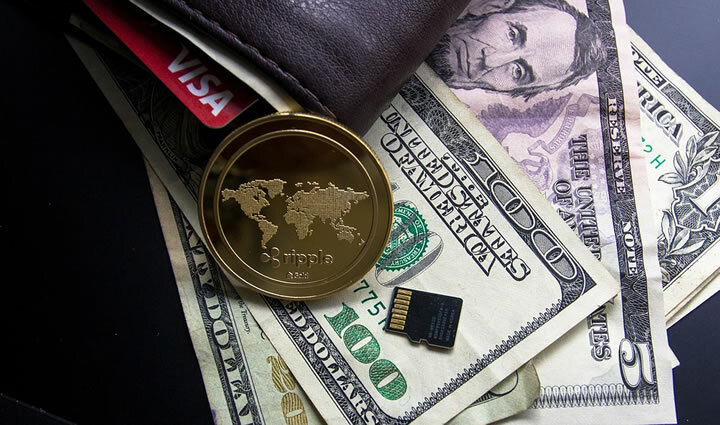 Many people have found cryptocurrency to be a great way of sending money overseas without running into many of the problems associated with traditional methods. Until now, Bitcoin has been a popular choice for this task. But as the blockchain and cryptocurrency market grows and expands, we’re increasingly seeing new platforms, like Stellar Lumens, that could be much better suited to this job. First, let’s take a look at why Bitcoin has become such a popular way of sending money abroad. In the past, people who wanted to send money abroad had to rely on centralized systems like banks, Western Union, and more recently services like PayPal. While these methods worked, they also presented quite a few problems. They tend to charge large fees for cross-border payments, along with high rates for currency conversion. The average cost of a global remittance is about 7.09% of the total amount. These methods also take time. On average, sending money overseas this way takes about three to five days to complete. That’s without even mentioning the security and bureaucratic issues involved in sending money across multiple jurisdictions, often to complete strangers. In developing countries with unstable banking systems and problems like inflation, there are yet more reasons not to trust banks and local currencies. Cryptocurrency (and usually Bitcoin due to its high status) provided a great solution to many of these issues. It removes many of the fees associated with international payments, and there’s no need to worry about currency conversions. It’s a decentralized, global system, which removes many of the hurdles involved with other methods and can vastly cut down on transaction times. In places like Venezuela and Zimbabwe, Bitcoin has been a much-needed way to store, send, and receive money without relying on banks on the verge of collapse or highly volatile currency. For the two billion unbanked people in the world, Bitcoin has been a gift. While Bitcoin has done an admirable job of rising to the occasion, it isn’t perfect. Increasingly, users have complained about high transaction costs and long waits for transactions to complete. Fees fluctuate a lot and can be as high as $50, which means small transactions would make no sense. At busy times transactions can take days, which puts Bitcoin on par with banks. There’s no need to be too harsh on Bitcoin over this. Bitcoin works as a currency, but it isn’t designed specifically to handle overseas payments and remittances. It’s paved the way for new platforms which specialize in this job and can offer more streamlined services, better adapted to the task at hand. Stellar is a blockchain based platform for sending money overseas, and it could be the answer to a lot of the problems Bitcoin users are experiencing. It’s a global, decentralized network which allows fast, cheap, and secure transactions to take place across international borders. Stellar lets users make cryptographically secure payments which get around many of the risks involved in using more traditional methods. Stellar can process payments in seconds, which puts it ahead of existing platforms. It’s also well-suited to micropayments —small amounts of money which can be a nightmare with centralized platforms that require minimum fees (which can be larger than the payment itself). This makes it a good choice for small purchases or emergency payments to family abroad. The Stellar price is currently ranging around$0.42 to $0.48 and looks set to rise fast. With big ICOs using the Stellar blockchaininstead of Ethereum’s, the profile of the platform will surely grow. Stellar marks a new approach to using cryptocurrency in global remittances. While Bitcoin has proven itself to be a reliable way of sending money abroad - and certainly better than banking systems – it’s a multi-purpose currency that doesn’t specialize in international payments. That’s where Stellar comes into its own. It’s built for global transfers, freeing it from any competing interests or goals. As more and more people around the world turn to cryptocurrency as a safe and efficient way of sending money abroad, platforms like Stellar could be on course to replace Bitcoin as the top choice for this.